CMI Toyota are proud supporters of the wonderful work that AnglicareSA provide for the South Australian community and in partnership with the CMV Foundation, we were thrilled to be able to provide the first prize for the annual Bonython Banquet Raffle which raises vital funds for this amazing organisation. 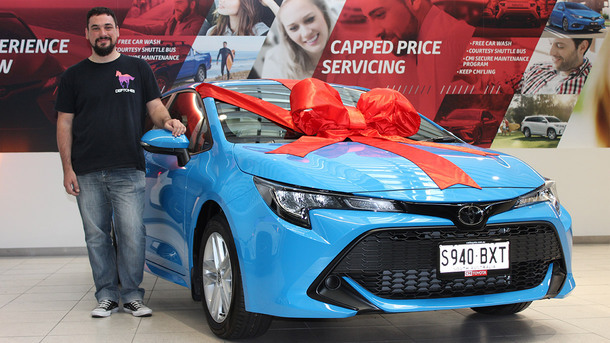 Recently we had the pleasure of delivering a brand new Electic Blue Corolla Ascent Sport to the 2018 Bonython Banquet Raffle Winner, Mauro! His lucky ticket was drawn on the night of the Banquet and he was thrilled to receive his keys! Pamella Omondi, Anligcare Campaign and Events Manager said, "The AnglicareSA Bonython Banquet Raffle aimed to raise funds for our Emergency Assistance Services which support individuals, families and communities to improve their lives especially during this Christmas Season and in the new year. 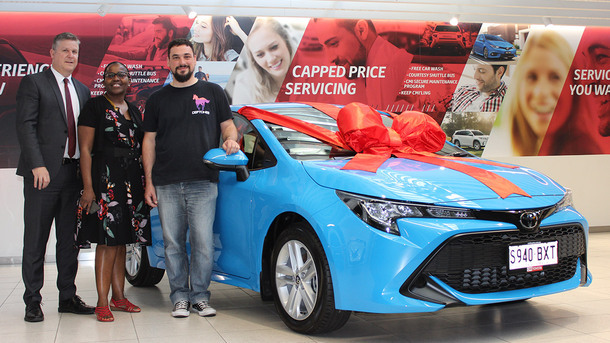 CMI Toyota and the CMV Foundation's support of our work has a powerful impact both to the families and individuals whom we work directly with as well as to the wider community." 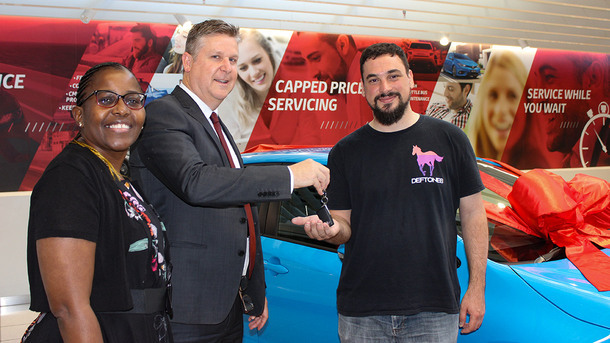 We thank Mauro for supporting such a wonderful organisation and wish him many happy years behind the wheel fo his all-new Corolla!